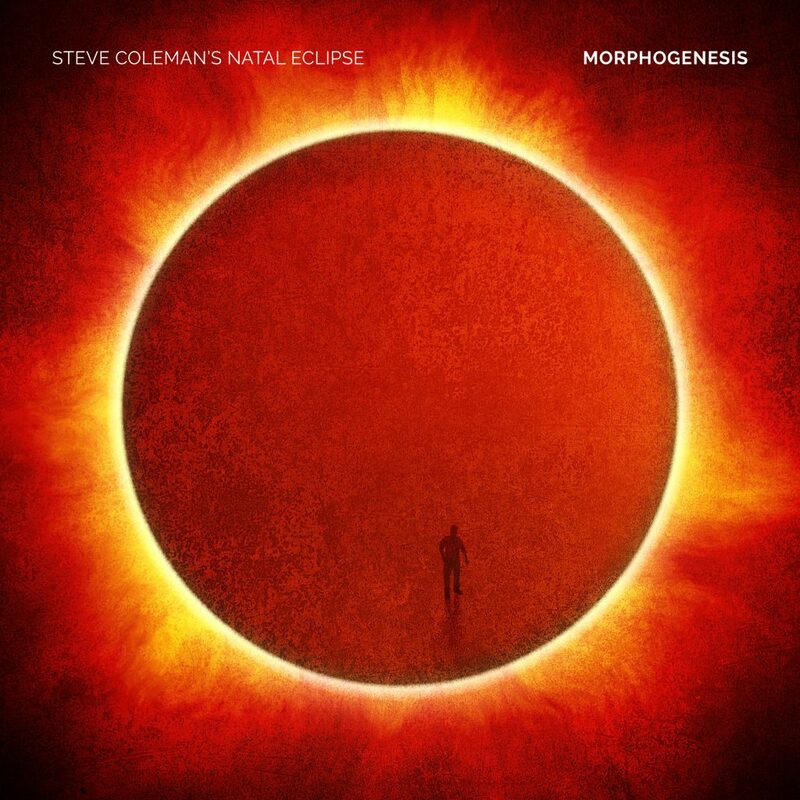 Morphogenesis is the highly-anticipated follow-up to alto saxophonist/ composer Steve Coleman’s Synovial Joints, which was named the #1 jazz release of 2015 by the New York Times, as well as the top ten at NPR, Downbeat, Popmatters, Slate, and The Nation. Like on that release, Morphogenesis expands Coleman’s compositional scope to incorporate musicians more associated with classical music: In addition to Jonathan Finlayson, his sparring partner in his long-running band Five Elements, he has added vocals, violin, clarinet, piano and percussion to the mix. Partially due to the instrumentation, his use of complex rhythmic cycles — hallmark of his work during his career — are less overt. In particular, the absence of a trap drum set de-emphasizes the roiling, surging momentum that is typical of his work, resulting in performances with more air and transparency without sacrificing one bit of the profound swing and groove that is part of all of Coleman’s output. Coleman is widely considered to be among the most influential artists in contemporary music. In 2014 he was the recipient of three prestigious awards: a MacArthur Fellowship, Guggenheim Fellowship and Doris Duke Performing Artist Award. His influence has been so fully-integrated such that it is now impossible to extricate it from modern jazz lexicon. That is perhaps why Morphogenesis feels like such a major step forward: Coleman fills the forward motion that is usually provided by a drum kit by utilizing more harmonic material, greater instrumental color palette, and wider timbral range. Instead of the staccato feel of many of his pieces for Five Elements, Morphogenesis is filled with long lines and slippery solos. The work has the feel of chamber music, with a delicate balance between classical and jazz/improvisation disciplines. It establishes a major expansion in Coleman’s compositional approach. Coleman often draws inspiration from physical movement found outside of musical contexts. In this case, most of the compositions (“Inside Game,” “Pull Counter,” “Roll Under and Angles,” “Shoulder Roll,” “Dancing and Jabbing”) are sonic interpretations of a variety of motions “ the feints, jabs, bobbing and weaving — found in boxing, one of his personal passions outside of music. As is his practice in recent years, the initial compositional forms are derived spontaneously while visualizing the motions he is trying to portray, and subsequently layered with voicings and orchestration. The lengthy melody of the centerpiece of the album, “Morphing,” was created in one such moment from an impulsive rush of improvisation germinating from a single idea. “Horda,” an archaic term for horde, is named for the rushing vibe of the initial improvisation, which was then orchestrated to accentuate that feeling. “NOH” and “SPAN” stand out from the others in that they were spontaneously improvised in the studio among the gathered musicians. Morphogenesis is the process that causes an organism to develop its form, which Coleman believes aptly describes both the music and the development of the band. Natal Eclipse, assembled specifically for the project, includes Coleman (alto saxophone) and musicians who have long been in his circle: Jonathan Finlayson (trumpet), whose 2015 Pi release Moving Still, was named among the top albums of the year by the New York Times; Jen Shyu (voice), whose Sounds and Cries of the World was praised on the same list; and Maria Grand (tenor saxophone). They are joined by pianist Matt Mitchell, who has released two highly-regarded recordings of his own on Pi, the most recent being Vista Accumulation, in addition to playing in the bands of Tim Berne, Rudresh Mahanthappa and Dave Douglas, among many others; and musicians who typically perform in a classical music context: Rane Moore (clarinet), Kristin Lee (violin), Greg Chudzik (double bass), and Neeraj Mehta (percussion). The group is also somewhat unusual in that it is equally balanced between male and female, which exerts its own profound effect on the music.